A charity school in Douala breaks stereotypes and puts disabled children alongside others to learn, and offers scholarships to the poor. 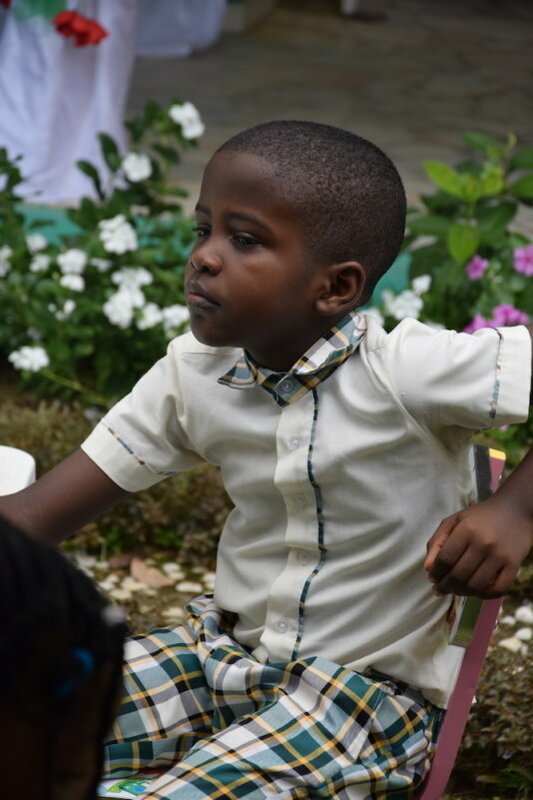 “Education in Cameroon should be inclusive,” argues 7-year-old Sone, a class 4 pupil of Ray of Hope Academy in Douala. Sone, a non-disabled kid studies side-by-side with 8-year-old disabled Mike Ivo in the same class and other 15 children in the same school. Sone, during their end of school year ceremony on June 3, 2017, debated that, “all parents want their children to be accepted by their peers, have friends and live a normal life and only inclusive settings can make this vision a reality for many children with disability”. While the government prides itself, a meaningful success in the education sector, a proportion of the population yet to grip the benefits of the much-celebrated glory are the disabled. A population that makes up 5.4% of the population according to a United Nations Children's Fund (UNICEF) 2011 data, with an estimated 100, 000 children suffering from autism. Children, which a 2014 United Nations Human Rights Office report reveals school systems discriminated against and denied them their rights to education. Experts estimate 1/3rd of the 58 million children who remain out of primary school have a disability. Many are simply cast out and excluded from formal education settings because of their handicap. In Cameroon, people often call them: ‘kick head’, ‘mad’, ‘sold children’, ‘brainless wizards’, ‘witches’, ‘burden’, ‘drainers’, ‘bastards’, ‘Satan’ and every kind of imaginary diabolic names. 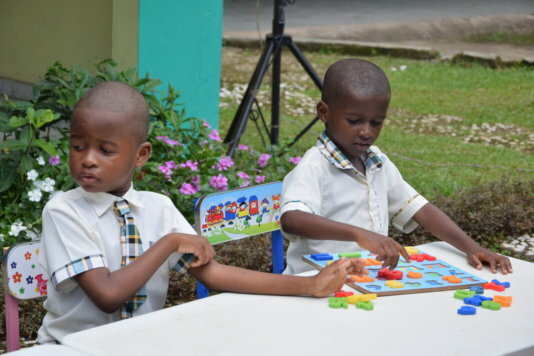 Host to 16 children (7 disabled and 9 normal), the Ray of Hope Academy was created in 2016 with a specific interest in eradicating such stereotypes and clichés. To Mrs. Ebob Ashu, Head Teacher of Ray of Hope, her responsibility goes beyond the classrooms. Many people are hostile to Mrs. Ebob’s pupils and she is taking advocacy down to the inner cities and little streets of Douala. Once in the quarters talking to some parents, Mrs. Ebob is used to responding to comments from people who believe disabled children are “bloodsuckers and vampires that will squander all your money and render you poor and hopeless.” “I will not allow such a child (disabled and autistic) near mine because they will bewitch my child,” said Pauline, a trader in Douala. Mrs. Ebob’s response to such a comment is clear: “it is not a taboo for a child to be disabled, neither their fault. They are born with the condition and we have to care for them”. Mrs. Christelle Bodie, 29 has a son suffering from autism in the Academy. “People beat my child, hate him, and discriminate on my family because we have a disabled kid,” she laments. However, the exclusion is not only social; it is sometimes economic and political. Though Cameroon signed the 2006 15 United Nations Convention on the Rights of Persons with Disabilities in 2008, and adopted a law protecting handicap persons in 2010, implementation of both policies has been sluggish. In addition, specific schools for the disabled are few and very costly. For example, the Higher Institute of Applied Psycho-Pedagogy (ISPPA) created in 2014 to train teachers for the disabled by Cameroon’s Minister of Higher Education, set tuition fees between 750 000 and 800 000 FCFA ( $ 1,250 and $1, 334), 14-16 times higher than the fees for teachers training normal pupils. Rev Ehabe’s approach to social exclusion makes education inclusive. With funds from family savings, he created a study environment where the poor, the disabled, and the abled study together. Through scholarship grants, pupils whose parents could not afford for tuition studied this year free. 4-year-old Esther (abled child) daughter of Mr Melingui, 52, teacher and Mike Ivo, son of 43-year-old trader, Tangeu Fanci full scholarships. But this institution giving chances to both abled and disabled never came from nowhere. It was born from the Ehabe’s family frustration to find an inclusive school for a disabled child. When Rev Ehabe discovered his son, AJ’s disability in 2014, he could not find institutions providing services relevant to his special needs. Instead, the lone school he found in the city of Douala charged him $1,000/month. Rev Ehabe had the choice to return to the USA, where he had been living for the past 30 years and where his son would receive the best of education and care, but he stayed. “I thought about the economy of this country where the average monthly wage is less than $200 and how many parents can’t afford to pay such fees,” he explained. To solve the situation, he started a specialised tutoring course for his child his home and later included other children who could not afford to pay 5 000 FCFA ($10). This would grow to the Academy. “All parents want their children to be accepted by their peers, have friends and live a normal life and only inclusive settings can make this vision a reality for many children with disability”. Rightly, a reasonable feeling, the rate of pupils completing primary schools rose from 53% in 2001 to above 92% in 2014 and adult literacy rates for 15-24 is now above 85%. Experts estimate 1/3rd of the 58 million children who remain out of primary school have a disability. Many are simply cast out and excluded from formal education.